Finland's nature conservation association says a proposed graphite mine in Heinävesi could potentially contaminate the water. A British mining company's exploration of a graphite deposit in the South Savo municipality of Heinävesi has local residents and environmental groups worried about the potentially harmful wastewater effluent and dust emissions of a possible mine. 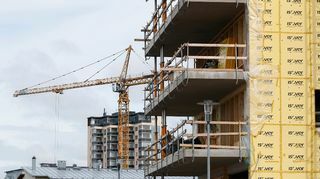 Jouni Nissinen from the Finnish Association of Nature Conservation told Yle on Friday morning that he is worried about possible contamination from the chemicals used in the graphite extraction process and the mine's wastewater effluent. "A lot of different chemicals would be used in the mining process. An added problem in Heinävesi would be acid rock drainage: the possibility that acidic sulfide minerals and cancer-causing arsenic and asbestos would leach into the wastewater from the black shale bedrock that exists in the area," he said. Nissinen told Yle that he is assuming the potential mine would be an open pit variety. "You make a big hole in the ground, which would mean moving large amounts of rock and soil. Then, when the graphite is mined, the bedrock contains the same black shale that caused a variety of problems in Talvivaara, for example," he says. Nissinen posits that the mining operations could pose a risk to the famously crystal clear Heinävesi waterways. Even if the wastewater from the mine is treated, he says there is still a risk that the groundwater would become polluted. "Wastewater that is released back in the waterways is never as clean as the water occurring there naturally. This is our greatest concern, and the reason why the local residents are currently of the opinion that the mine shouldn't be built in Heinävesi at all," he said to Yle. The proposed mine site would also be just a short distance from the famous Saimaa lake district, one of the most pristine and picturesque water systems in all of Finland. "In principle, the wastewater could end up draining into Saimaa, too," Nissinen warned. Nissinen says dust emissions could also present a problem, as dust generated by the mining operations can spread dozens of kilometers from the site. Rasmus Blomqvist, CEO of Beowulf's Finnish graphite project's subsidiary Fennoscandia Resources responded to Nissinen's comments. "Of course we take these concerns very seriously. We published five info packages last year […], but we need to improve our communications even more. The company has to consider how it can share things as quickly as possible, as soon as there's more information available," he said. Beowulf Mining's flagship project is the Kallak magnetite iron ore mine in northern Sweden, but it is also exploring three other base metal deposits in Sweden and five graphite deposits – Heinävesi included – in Finland. Beowulf discovered the graphite prospect in Heinävesi's Aitolampi district in 2016. In 2017 eight holes were drilled to test it, confirming wide zones of graphite mineralization. The produced concentrates were dispatched to Germany for further testing to determine their marketability and potential applications.. The mining company says the deposit's chemical and physical properties were very promising and would be conducive for use in the manufacture of lithium ion batteries and other applications.